Anasuya is on cloud nine. 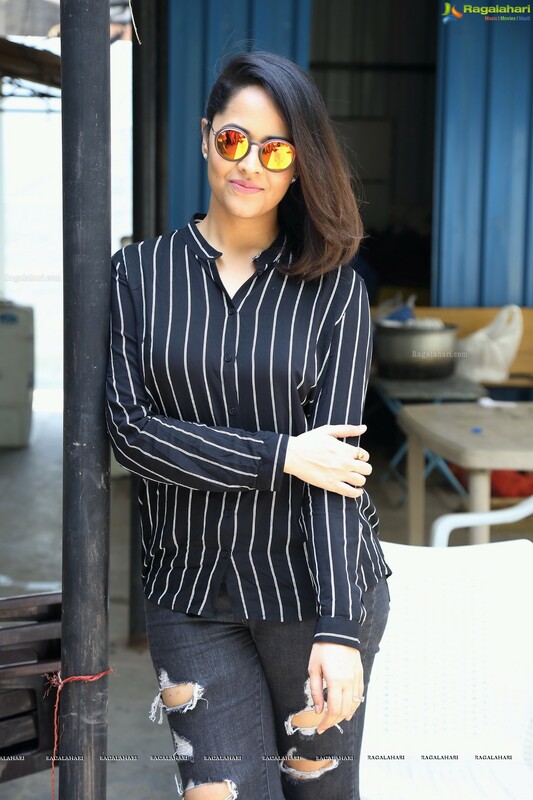 She has been appreciated for her performance in Rangasthalam. She played the role of Rangamatta. When she was approached with this role, Anasuya was not keen. But she wanted to see what would happen if she does a non-glamorous role. The jabardast anchor is now glad that she accepted this role. Anasuya says that she has no clue about how people are in the villages. It was Sukumar who brought out the best in her. She just followed his instructions. The horrible part was being called "Atta". She hated it and even requested Sukumar to remove the atta from her name. He just did what he had to. Now Anasuya knows how important it was. The best compliment Anasuya got was from her husband. After seeing the film he said that she has now arrived as an actress. He has been very supportive in her filmy journey. She says that she can never do another Rangamatta role. There is and will be only one such role. Any role that Anasuya does will be only once. She will never repeat them she adds. That is how she wants the audience to remember her. Anasuya is glad that times are changing and she a mother of two is playing glamorous and important roles in films. She hopes to play the leading lady's role sometime soon. Ranagasthalam to run for 3 hours!